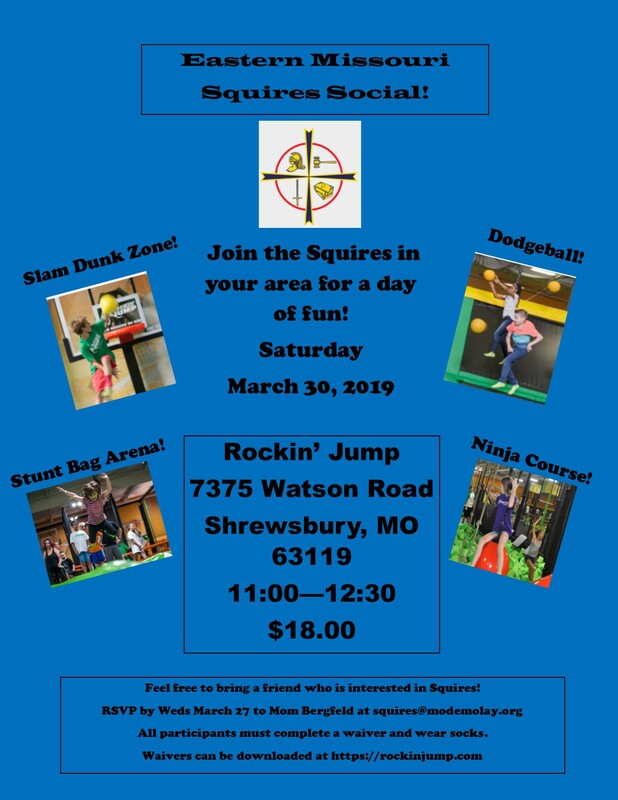 Join the Squires in your area for a day of fun at Rockin’ Jump in Shrewsbury! All participants must sign a waiver (downloadable at www.rockinjump.com) and socks. Please RSVP to Mom Lisa Bergfeld at squires@modemolay.org by Wednesday, March 27, 2019. Click here to contact Missouri DeMolay. This is the official website of Missouri DeMolay and acknowledges the authority and yields allegiance to DeMolay International, of which Frank S. Land was the founder.